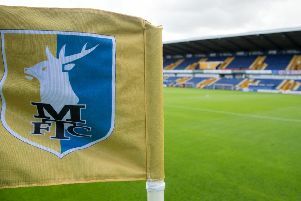 Stags had an unbeaten November and head for Crawley tomorrow seven games unbeaten in League Two. “These nominations come along and highlight individuals, but the team has been fantastic collectively as well,” he said. “We’ve been working tirelessly on the training ground to get the club up the league standings and everyone is champing at the bit to play. We are all pulling in the same direction. “We now need to have a December and a January like that too. On his own nomination, he added: “I had a great November and winning football games breeds confidence. “Port Vale was a memorable night as I scored two goals, it’s not often that happens. Diamond is happy with the club’s FA Cup draw at Cardiff, despite missing out on the possible Premier League opposition. “Just to be in the draw itself is good. It’s a good away draw – we’ll take it,” he said. “Obviously people wanted a Premier League team, but Cardiff are still a big team. “At this stage of the competition any draw away from home is going to be tough and they are flying high in the Championship at this present time.